C-26 is a seven piece salsa band from Wellington, New Zealand. 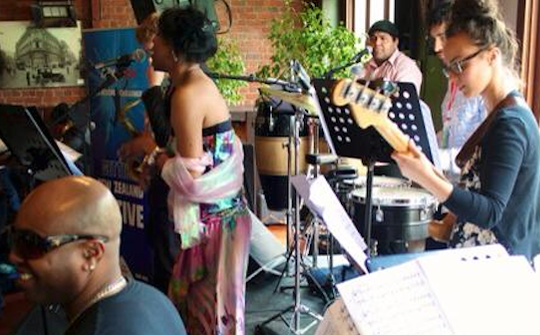 A great mix of South American and Kiwi musicians who all love playing Salsa music. They play salsa classics from Cuba and Puerto Rico, with the first female Latino salsa singer in Wellington, Anayibi Loboa from Colombia. The seven piece band provides horns, timbales, congas, guiro, trumpet, saxophone, piano and bass. "The truly authentic sound of salsa."